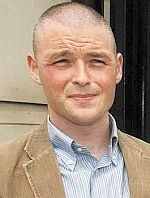 Four loyalists were convicted on Wednesday of the savage sectarian killing of 15-year-old Catholic schoolboy Michael McIlveen in Ballymena, County Antrim in May 2006. 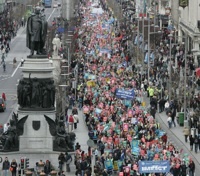 The turnout of over 120,000 at Saturday’s national demonstration in Dublin showed the depth of anger among workers at the handling of the economic crisis by the 26 County government. British Direct Ruler Shaun Woodward has ruled out implementing so-called “recognition payments” to families of victims as a means of tackling issues of truth, justice and reconciliation arising from the conflict. The husband of a woman killed by an RUC police plastic bullet nearly 28 years ago has won permission to challenge a decision by British Crown prosecutors not to charge anyone with her murder. Two former IRA PoWs who were denied jobs with a top charity have taken their case to Britain’s House of Lords. Sinn Féin’s annual conference at the weekend was dominated by the economic recession and the upcoming elections in the 26 Counties. We need a Rising! That thought came into my head as I listened to RTE radio’s report of last Saturday’s mass trade union rally in Dublin. Last week’s case demanded deterrent custodial sentences and not someone jauntily walking free making contemptuous gestures to cameramen. The full text of this year's address by Sinn Fein President Gerry Adams to his party's annual conference. 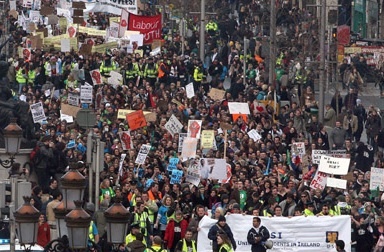 The protest against the manner in which the financial crisis is being handled by the Dublin government today has seen the largest march in the capital in several years. The 26-County coalition government of Brian Cowen is in crisis over a ‘golden circle’ of wealthy Irish developers who received almost half a billion Euro to purchase shares in a potentially fraudulent transaction at the scandal-plagued Anglo-Irish Bank. The family of murdered Belfast defence lawyer Pat Finucane have warned that the British government has suggested that it could abandon a proposed public inquiry into his murder. The Sinn Féin Ard Fheis 2009 is taking place this Friday and Saturday February 20th and 21st at the RDS in Dublin. 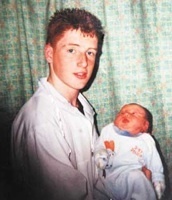 Sinn Féin has marked the 20th anniversary of the murder of a veteran councillor who “laid the foundation stone for republicanism” in south Derry. Republican group eirigi hit out yesterday at fines imposed on the son of murdered INLA leader Dominic McGlinchey for his part in protests at Stormont against the Iraq war. Four Derry men remember with pain and dread a Valentines Day thirty years ago when their lives and the lives of their families were turned upside down. Armed only with his sharpened legal brain Pat Finucane was a formidable obstacle for those in the British government and military. A DUP bid to abolish the main cross-border political institution of the 1998 Good Friday Agreement -- part of an admitted larger plan to collapse the Agreement itself -- failed in the Belfast Assembly this week. 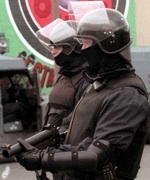 Republican hardliners have accused Sinn Fein of telling “Irish people to become informers”. 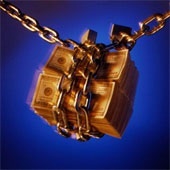 The scandal over the dodgy dealings of Ireland’s top bankers took another turn this week when it emerged that vast sums of money were shuffled between institutions last year in order to conceal grave financial difficulties. Fianna Fail has now slumped into third place behind Fine Gael and the Labour Party in the latest poll of public opinion in the 26 Counties. Omagh bomb victims’ families held what they said was a heated but unproductive meeting with British prime minister Gordon Brown yesterday over the role of British intelligence in the attack. 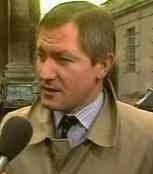 A vigil has been held in north Belfast to mark the 20th anniversary of the murder of defence lawyer Pat Finucane. Pearse Lawlor has penned the first published account of the events of July to September 1920 in which more than 1,000 Catholic families lost their homes in county Down. You probably didn’t notice the little spat between the DUP and UUP about meeting loyalists, but it’s worth examining as a perfect example of the parallel universe unionists live in. One of Ireland’s leading unions has warned of “catastrophic” consequences following the collapse of economic recovery talks in Dublin at the weekend. A bomb weighing 300lb intended for use against a British military base in County Down was abandoned by republican militants last week. DUP MP Willie McCrea has been urged to set out in detail the extent and nature of his relationship with loyalist murder gang leader Billy Wright. The Dublin government is to raise the case of 11 people shot dead in Ballymurphy by the British Army in 1971 with British Direct Ruler Shaun Woodward. The European Commission is spending 1.8 million Euro on a blatant propoganda campaign in a bid to win a second referendum on the Lisbon Treaty. 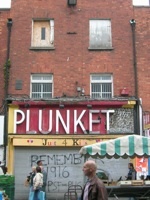 A great grandson of a 1916 Easter Rising leader has made an appeal for help in a bid to safeguard a Dublin city centre building that played a key role in the rebellion. The following address was given by Tony Catney of the Republican Network for Unity at Derry’s Gasyard Centre as part of this year’s annual Bloody Sunday commemoration. So far the British government has managed to protect itself and its agencies from those seeking to probe deeper into this sinister world.